Hugsmiðjan (Eplica) was founded in 2001 by veteran Internet professionals. Our emphasis is on the user experience, combining high-quality design (both visual and structural), unique accessibility and usability. Our customers number over 200 and close to 500 websites have been created in our content management system, Eplica. 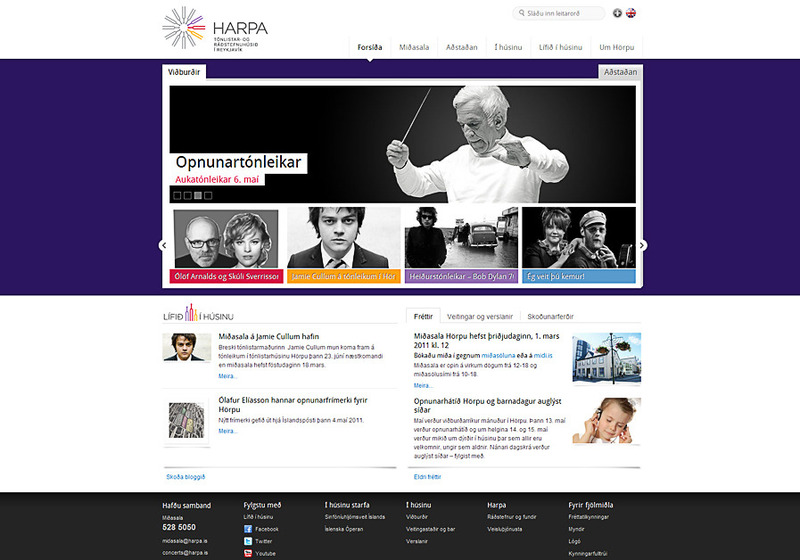 Nearly 100 websites have been implemented in Eplica for the Icelandic government and authorities. Harpa - Reykjavik concert hall and conference center.